Derrick Cogburn sails the Bay. 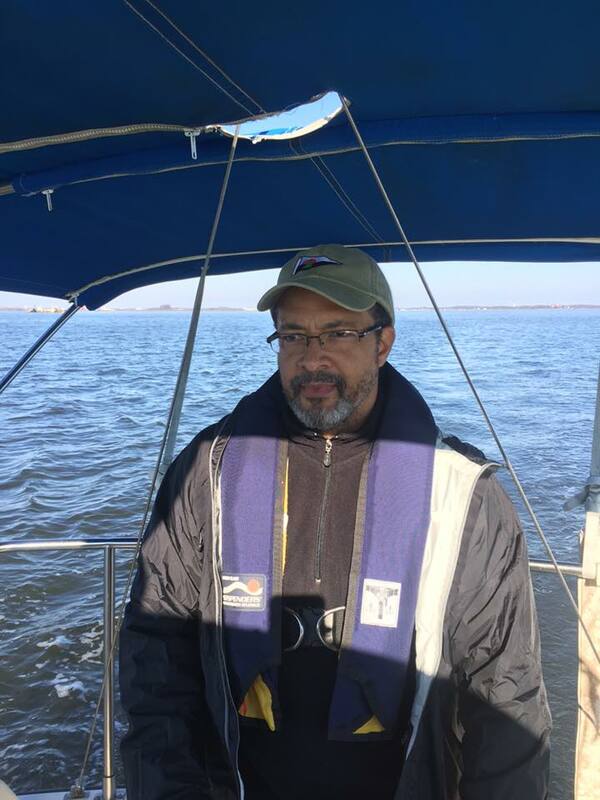 Welcome to the 54th episode of The Shooting The Breeze Sailing Podcast featuring Chesapeake Bay sailor Derrick Cogburn. Derrick has just started sailing on his own Paceship PY26 last year, and has already crewed on an offshore boat going from Annapolis to Boston. He’s a really interesting guy, a fan of the podcast, and travels the world as a Professor from American University. He started appreciating boats while in the Great Lakes area, and caught the sailing bug when moving to Washington, D.C. He signed up for courses at the Annapolis Sailing School, learning on the Rainbow 24’s, and last year went out and bought his own Keel boat. Anyone that is thinking about getting in to sailing and the community surrounding it, should listen to Derrick’s testimonial.